Neil is available in his one man show 'Dean Martin - Memories are Made of This!' as a solo act to playback tracks, with a live swing band or simply as a 'meet 'n greet' artist. Neil is also available in his very popular King v's Swing Show. This show features Dean Martin as a first set followed by the King of Rock and Roll - Elvis Presley! Ideal for a cabaret night at a restaurant, social club or wedding. 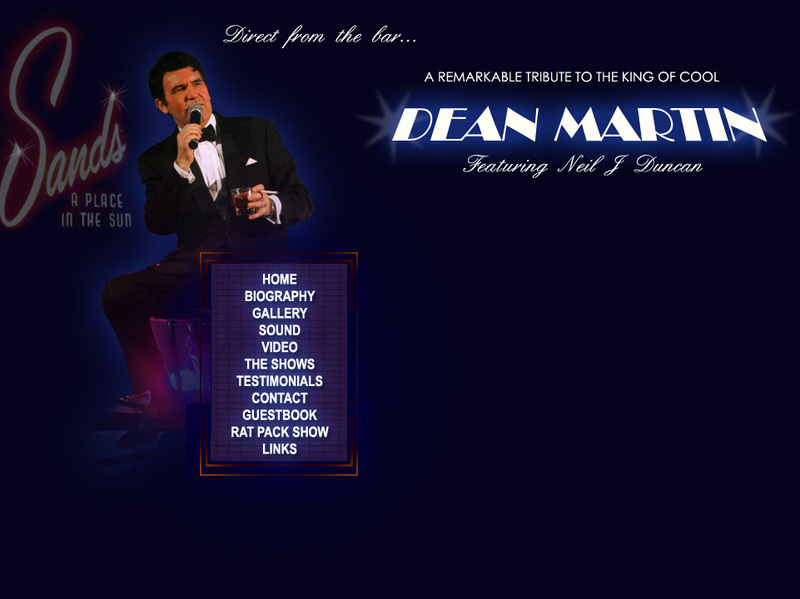 Neil has also added another option to his repletion - An Evening with Dean Martin and Friends. The evening begins with a hour long tribute to Dean martin followed by a mix of other famous artists including Frank Sinatra, Andy Williams, Bobby Darin, Tony Bennett, Nat King Cole, Tom Jones, Neil Diamond, Billy Fury, Cliff Richard and, of course Elvis! Neil is fully self-contained for playback shows. He uses high quality Mackie Sound equipment, professional backing tracks and full lighting rig. Neil has Public Liability Insurance for up to £1,000,000 and all equipment is either PAT tested or still under first year guarantee. If the show is to be performed with a live band, there may be a need to hire in a sound company. Neil is happy to discuss any particular requirements for the show with the client.